Hours of Operation: Monday – Friday, 8:30 a.m. – 5:00 p.m.
Anne D. Coley was born in Eau Claire, Wisconsin. She moved with her family as a child to North Carolina, where she has lived for over 25 years. 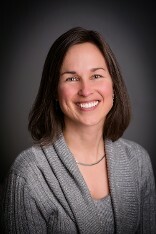 After graduating from the University of North Carolina at Charlotte in 1999, she gained practical working experience utilizing her BSBA degree for the next four years. She then attended Campbell University, where she received her JD. The summer prior to her graduation, she interned with The Bain Group, PLLC, where she developed her interest in real property law. Upon graduation and successful completion of the Bar exam, she joined the firm as an associate. Anne has continued her professional growth by obtaining her South Carolina law license as well. In addition, she expanded her real property practice into other areas, such as estate planning, corporate formation, and family law, with a specific focus on adoptions, name changes, terminations of parental rights, separation agreements, and absolute divorces. On November 1, 2012, Anne opened the doors of her own firm, The Coley Law Firm, PLLC. 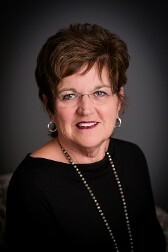 At this firm, Anne has dedicated 100% of her practice to real estate closings and other real property related matters. The firm has two office locations but maintains a small firm atmosphere, with a current staff of six full-time employees in addition to Anne, as well as one part-time employee. Anne truly enjoys working on only real estate matters, because it allows her to give personal attention to each and every client and his or her corresponding real estate file. Anne is a dedicated attorney, wife, and mother. She met her husband, Scott, during her senior year of college, and they have had two children, Cassidy and Aaron. Haley, born and raised in North Carolina, is a 2010 graduate of NC State University, with a Bachelors Degree in Criminology. In 2014, she received her J.D. and was admitted to the North Carolina State Bar. She has a commercial real estate background and is active in the Charlotte chapter of C.R.E.W. (Commercial Real Estate Women). When she isn’t busy closing transactions, Haley enjoys practicing yoga, traveling, trying out new recipes and spending time with a few of her personal favorites - husband, Chance; daughter, Lennon; and two dogs, Sammy and Kolsch. Kiki Short has been with The Coley Law Firm since the beginning, transitioning from The Bain Group, PLLC, where she started working in 2005 and where she first met Anne. She is typically the first point of contact for the firm by assisting agents, lenders and clients and acts as a liaison between those parties and her co-workers. She assists with file intake, data input, title searches, file set up and occasional notary services. She lives in Cabarrus County with her husband, who is a career firefighter and she has one grown son. If she could “live a life of permanent leisure” it would be on a tropical island somewhere with her toes in the sand. 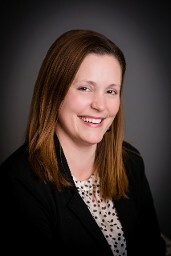 Tara has worked as a real estate paralegal since April of 2012. Prior to that, she worked as a Closing Coordinator on a top real estate team for five years. She has her real estate license and is a Notary Public. Tara has lived in Charlotte since 2004. She is married with two children. 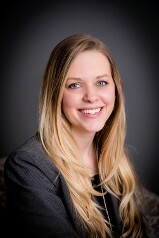 Caitlin has been a paralegal with the Coley Law Firm since April 2014. She attended UNCC and graduated with a Bachelor’s Degree in Public Relations and a minor in Political Science. She then continued her education and completed the Paralegal Studies program at UNCC. Caitlin is a Notary Public and a Licensed NC Title Underwriter. Caitlin grew up in Tampa, FL and now resides in Mooresville, NC. She enjoys spending time with her husband, Bobby; son, Colin and yellow lab, Doyle. Caitlin loves to watch College Football (go Irish! ), travel with her family, and loves all things Disney! Shoua was born and raised in Wisconsin and moved to NC in year 2009. She went to King's College in Charlotte, NC and graduated from the Paralegal Program. 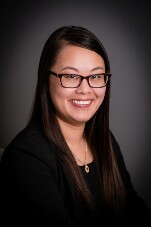 She is also a Notary Public and speaks Hmong. She's been with the Coley Law Firm since April of 2015. Shoua currently resides in Cornelius, NC with 3 children. Sylvia Kincaid currently resides in Davidson, NC with her husband, Wallie Kincaid. She grew up in this area attending local schools and graduating from Kings College in Charlotte, NC. Sylvia has been working in business management and accounting for more than 25 years, with her first experience being managing her own construction company along with her husband. The most recent management position she held was with The Bain Group, PLLC where she was employed for ten years as Firm Administrator. While working in this position, she gained her knowledge of the real estate field. Her duties included file disbursement, post closing management, and trust account balancing along with managing the office. Sylvia’s current position with The Coley Law Firm is Firm Administrator/Office Manager where her past experience with real estate and office management has proven to be most beneficial. 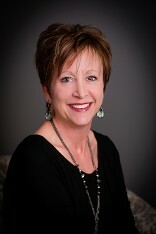 She is also a licensed North Carolina Real Estate Broker and Notary Public. Sylvia enjoys reading, gardening and spending lots of time with her nine grandchildren. She and her husband are actively involved with their church, Journey United Methodist in Kannapolis, NC. Shannon graduated from The University of North Carolina at Charlotte with a finance degree, but the real estate business is a new territory for her. Shannon feels very blessed that she was able to stay home with her children for 14 years and now is truly enjoying this new venture. The wonderful ladies of The Coley Law Firm have made it an easy transition! Shannon is married with 3 children and currently resides in Concord.